And just like that, Easter is around the corner. For many Christians this means a day off work to celebrate this holiday with family and friends, and a hand full of chocolate to satisfy the sweet tooth – if this is your case, Happy Easter to you and your family. The Good Gorean has been on a slow mode because of my sudden leave but I've managed to take a few minutes out of my day to play a little with a couple of my favorite items from the We <3 Role-play and a brand new event called Driftwood. Both rounds turned out to be absolutely fantastic but let's give Driftwood a little bit of more attention. This new Fantasy/Dreams/Mythical fashion event has no set themes, giving the creators plenty of room for imagination. The debut round has a great mix of fantasy merchandise giving the shoppers more options and great deals. It's always exciting to see a new fashion event coming to life but if it's a fantasy fashion event that makes me thrilled! Don't forget to visit both events in the upcoming weeks – We <3 Role-play ends in the of April and Driftwood on May 5. 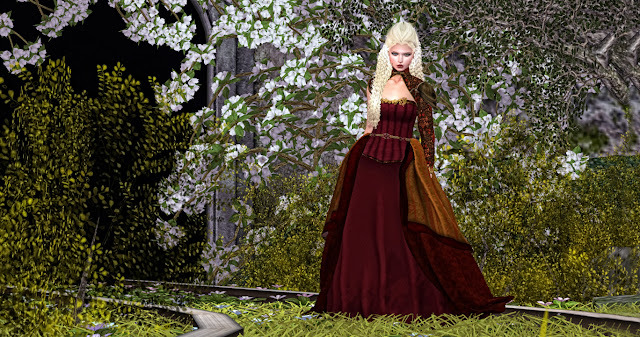 The Fantasy Faire is now looking for their King and Queen of the Fairelands and their Chancellor. The nominations will close at Midnight on April 20th , and you have someone in mind please make sure you read the rules and fill out the form HERE . The winners will be announced April 28th during the Live Auction event. Fantasy Fair will open in 7 days on Thursday, April 18th. 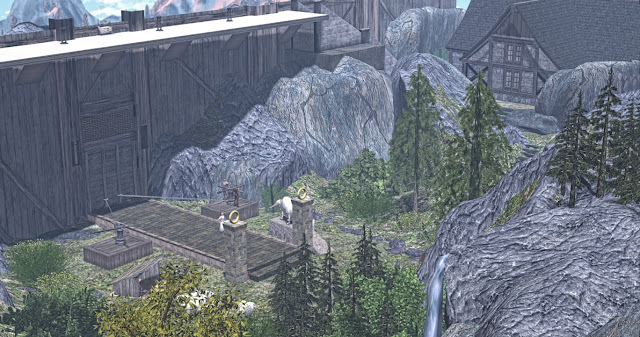 There are also other exciting news I need to share - Linden Labs has been working on a new continent (previously mentioned on my last post), and we will also see new Linden Homes arriving very soon. The old Linden Homes will be going away in the next couple of years, if not sooner. While we wait to see what Easter eggs are coming from Linden Labs, we can finally enjoy the new Animesh rideable horses. The ~*WH*~ Animesh horse was finally released last week with notable upgrades from the Bento version, 2 new breeds, and hours of fun! The personal version is priced at $4,499 and the public/friends version is priced at $12,999 – group members qualify for discounts. "Flidas or Flidais (modern spelling: Fliodhas, Fliodhais) is a female figure in Irish Mythology, known by the epithet Foltchaín ("beautiful hair"). She is believed to have been a goddess of cattle and fertility. In the recent past she has been popularly rendered as a woodland goddess akin to the Greek Artemis and Roman Diana, though scholars now believe this to be incorrect." Hello all! As I've mentioned before, The Good Gorean is at a very slow pace until mid-May but I will do my very best to post something here and there. Hopefully after the dust settles down, I will return to my usually posting. The GE Maps will also return in May. It was very relaxing to sit down and put together this post with a Wild West flavor. The March edition of the We <3 Role-play was a fantastic round but now it's time to say goodbye. We also must say farewell to Google+ which will be officially pronounced dead on Tuesday, April 2nd. Make all of your important backups by Sunday, March 31s. The Second Friends' owner also announced the closure of this social network. 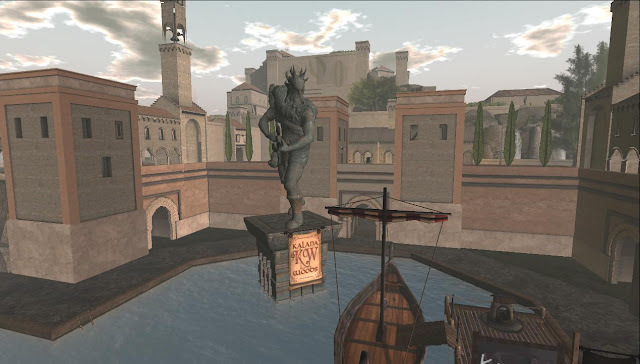 Not all are sour news - Second Life is adding a brand new continent with 384 regions and Premium Members are now able to auction their private parcels. You are now able to control start and end times, bid amounts and more. To know more about this new feature, check out the link HERE. "More than 140 years ago, Victoria Woodhull was nominated for president of the United States by the Equal Rights Party. She conducted a stormy campaign, which she financed by daring operations as a Wall Street broker. Victoria and her sister published a newspaper called Woodhull and Claflin’s Weekly and printed scandalous ideas advocating “free love.” The tabloid-style periodical, which was read from coast to coast, also featured articles about how to divorce your spouse, how to operate a brothel and how to become a profitable soiled dove. Prompted by agents of the Society for the Suppression of Obscene Literature, Woodhull was arrested in 1872 and charged with circulating obscene and indecent publications." Role-playing as an Initiate can be a changeling role but it can also be highly rewarding as you build your story-line in Gor. You must dedicate some time to learn the odds and ends - being an Initiate is much more just wearing white robes and walk around pretending you’re the Pope. As you dive into the Caste of Initiates, you will probably learn certain topics about Gor you have been oblivious to. The Caste of Initiates is one of the most interesting society branches in Gor and yet, the most mysterious one. The Initiates Caste (or the Blessed Caste) worships and dedicates its life to their Gods, the Priest Kings, making them the highest of the five High Castes of Gor. They are considered the intermediaries to the Priest Kings and one of the two court systems in Gor which makes this particular caste thrive as the most wealthy and powerful. The Initiates are highly respected and intimidating to the rest of the society – most would think by offending an Initiation could result on extreme repercussions such as being killed by the Flame Death. With great power comes great responsibilities and restrictions. The Initiates must wear white robes and be bald-headed; they cannot drink alcohol or eat meat or beans if they wish to achieve immortality; they are forbidden to carry weapons and to kill; sacrifice rituals are common; and females are forbidden to become an Initiate or touch one. Violation of these crimes may result in death penalty but laws may differ from one group to another. The home of the Priest Kings, the Sacred Sardar Mountains, is encircled by a palisade of black logs. Inside the palisade, an Initiate guards a towering gate that leads to the core of Sardar Mountains. The traveler that wishes to cross the gates will be judged by the Initiate and depending on his final verdict, the gates may open or remain closed. Brave, curious, and old men are often found here, trying to make their way into the Sardar Mountains but it is known that none has returned from this journey. The Great Sardar Palisade and Sacred Sardar are open to the public in Second Life and all Gor enthusiasts should visit both locations either to enhance your role-play experience or just for fun. If you interested in joining this Caste, your journey also starts here - within the walls of the Great Sardar Palisade, you will find a group of Initiates that are also guarding the gates of Sardar. The Grand Inquisitor and his followers offer a course and the opportunity for an individual to properly play the Initiate role. The course revolves around the religion, learning archaic religious texts and exciting secrets that only an Initiate will know. The group is also planning a pilgrimage and the Gorean community is invited to participate – all are welcome. Reach out to Terek the Younger (kitten.serpente) for more information on the pilgrimage or how to join the Caste of Initiates. If you decide to play a brave warrior in search of the Priest Kings, visit the Great Sardar Palisade and request entry to the Sardar Mountains. 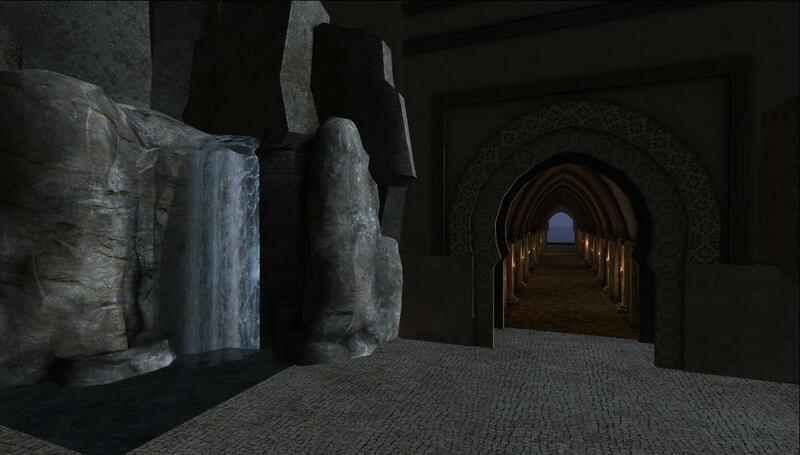 If the Initiate grants your request, you will have access to the first level of the Nest, located inside the Sacred Sardar. We had the posters, the official trailer and finally HBO confirmed the episodes' length for the final season of Game of Thrones. Season 8 will make its debut on Sunday, April 14 at 9 p.m. The first episode will be 54 minutes long but the following episodes will be even longer. Second episode will air for 58 minutes; third episode will extend an hour and 22 minutes; the fourth episode will air for an hour and 18 minutes; fifth episode will be an hour and 20 minutes and the very last episode will also be an hour and 20 minutes. 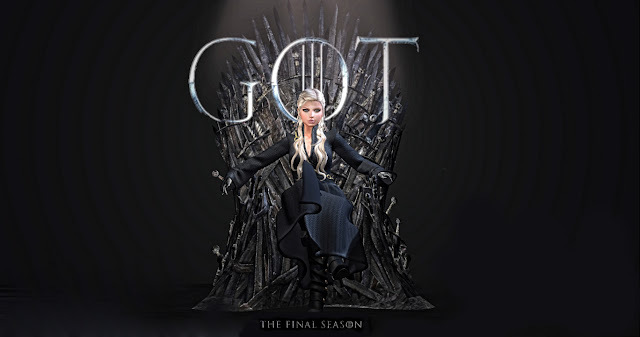 Fans are anxious to see how the series will fold and Second Life role-players are fleeing to GoT role-play sims to live and embrace the opportunity of playing a character of Martin’s fantasy novels. To celebrate the event, I tried to copycat one of the official GoT posters. The time was perfect when I saw this GoT inspired coat from PLASTIX at the We <3 Role-play of this month. Did I nailed it? What you think? While game of Thrones will conclude this spring, HBO has been working on a GoT prequel that will take place ten thousand years before the events of the Game of Thrones series; the Age of Heroes will feature a tumultuous period in time of Westeros’ history. “The Long Night” doesn’t have an official premiere date yet but first shootings are expected to start this year. 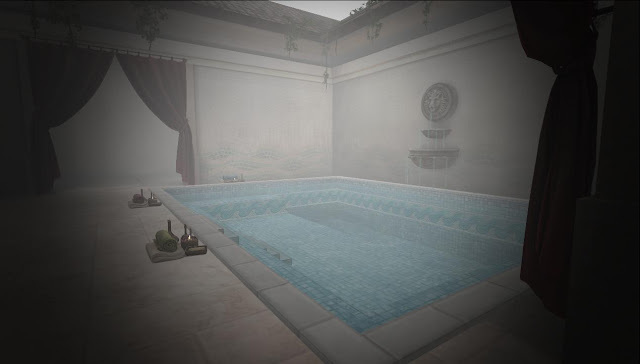 Speaking of series, Linden Lab has a new travelogue video series! 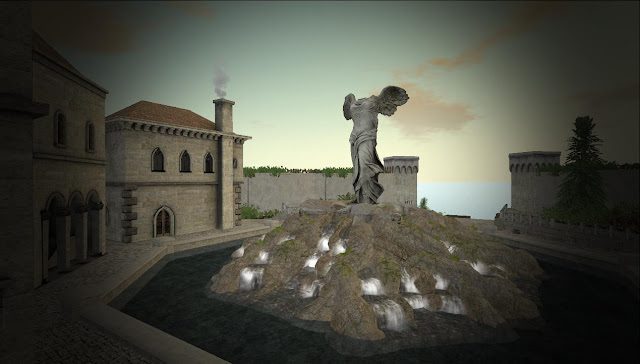 The travelogue will explore places, events and other experiences created by Second Life residents. The short clips will give the opportunity to promote unique regions that probably most of us are missing out on. Check out the Second Life Destinations YouTube channel and I dare you to step outside your comfort zone. It’s a big world out there! Linden Lab has also been busy with the preparations of Second Life’s Sweet Sixteen. This year, the celebrations will be held from June 20th through July 8th. Applications for merchants are now available HERE. Applications for other residents that would like to volunteer or perform throughout the event will open soon on Second life’s official blog. The Good Gorean will slow down quite a bit for the upcoming weeks but I will do my very best to post and update you as much as I can. I have an unexpected trip coming up that will require a lot of my focus but I will return by mid-May. If you need to contact me in-world and I’m offline just drop a notecard or message me directly. During this time, I will be in Euro hours. Feel free to comment below to this post if you wish me to add a group/sim to the list in the future. Please visit GE Maps and subscribe on the Subscribe-O-Matic to receive the updates (no group space needed). If you wish to receive a copy of the GE Maps Server-Client System please send a notecard to PewPew Zero. This system is available to Sim and Group Owners only. As the “Bard” William Shakespeare would say, now that we are entering the spring, and the first flowers are ready to be seen, so do our pixels become more green. More and more lands change their camps to fit their spring time. The Sphinx: What made you inspire the creation of the meter? 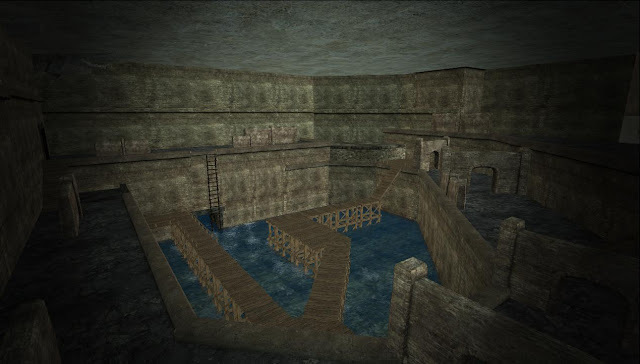 Pluto: It was originally created as an urban combat system for a sim me and my friend were planning, many sim owners and friends asked if it could be converted into a meter that could be used in Gor and a few months later that we had our first beta. There's some remnants of that urban meter code still in there, but it's mostly been rewritten. The Sphinx: What is the greatest challenge in maintaining the meter? Pluto: Keeping a list of current issues and what needs to be fixed is something that's quite challenging. The Sphinx : What are the main differences with GM Meter? Pluto: You would have to ask other people, I don't use it and I don't know anyone that does anymore, besides it's not something I can really comment on without being biased. The Sphinx: How secure is ZCS meter against hacking or game exploiting? Pluto: It was designed to be secure from the beginning, other than an issue where some players decided to spam their meter to slow it down, there's been no security issues. It's really not that hard to make something secure, unfortunately the major causes of cheating come from problems Second Life has and are far more difficult to solve. The Sphinx: Are there any future developments to the meter in the pipeline? Pluto: There's about half a dozen large things in the pipeline, some are mostly done and just require additional polish to come out and some are still in the planning stage. From all his replies his last one intrigued me the most. I wondered how useful are the features that ZCS brought back for example the economy, so I decided to research a bit more, comparing some meter rules among the top 20 busiest GE sims. As you can notice from the chart above, seventeen out of twenty sims have the economy enabled. 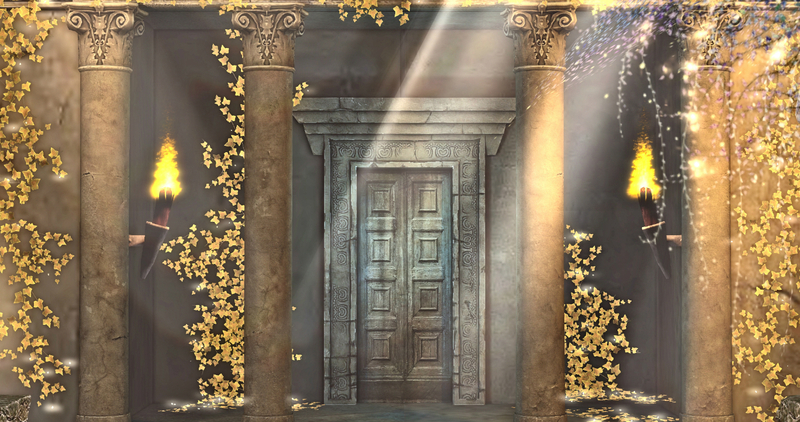 Players want to steal coins, owners want to have the bank in their sim, and everyone wants to buy free stuff and weapons using the meter coins, provided that there is stuff to buy available of course. The problem is that there are very few products you can buy with ZCS coins. Very few weapons and some role-play items, and even those have emerged only recently. 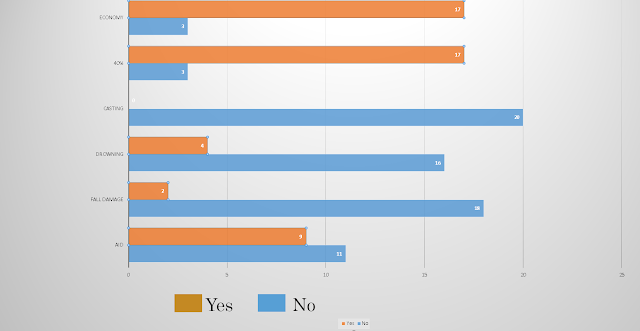 Other statistics are also interesting. Almost half the sims use aid, while casting, which is a feature in the meter that makes bandaging and binding longer (but more realistic), is used no-where. Of course there are other smaller Gorean full sims and homesteads which use different settings. At some point I plan to do a more comprehensive comparison regarding sim rules. As always, in the past weeks we had some movements between the busiest Gorean camps. Lots of players have “immigrated“ from the Lands of Ghosts to DSO. I really hope that Ghost Stronghold does not become Ghostly again”. A big tsunami hit and swept some Panther tribes In Elation I heard. Where did those huntresses flee to? A merchant told me that they moved to a secluded island this time called “River Forge”. It is not secret that the once proud village of Enigma vanished in the darkness. The villagers took their boats and moved to the well-known grounds of Tazberg. I haven’t heard those Taz words for a long time to be honest. Initially the choice struck me as strange. Tazberg has always been a group which was focusing on the American time-zone, while the residents of Enigma were mostly active during GMT hours. Oh well, every every obstacle is an opportunity they say, don’t they? Perhaps Tazberg will become one of the few places that are busy day and night. For the last I have left the best. The new Citadel in Kalana woods is finally ready. I took my swag and decided to take a peek. And oh my, what a peek was that! It seems someone worked really hard this time. As we reach the docks we face a big Poseidon statue and the outer city walls. The sim is a mixture of Roman-Carthage style, which makes the whole city emit a tone of mystery. At the highest point of the citadel, is located the central square with an impressive fountain and a statue in the center which is actually one of the most famous statues in the world, the “Winged Victory of Samothrace”, currently located in the Louvre museum. The city although is a bit overbuilt, looks rather impressive. Houses and role-play areas are placed carefully giving a tone of balance in the whole area. There are many narrow spots all over the citadel which will benefit the swordsmen rather than the archers. I took as many pictures as I could and I am telling you, the Sphinx is not a great photographer but I really liked the build! An eerie tunnel…Where does it lead to…? A view of the citadel from the North side. And of course a spa! Slaves are forbidden to enter! But let’s not forget, if someone wants to enjoy the Gorean life with style and role-play in a place where the options are abundant then certainly the luxurious city of Kalana is a perfect choice. Till next time , Adieu! We all enjoy shopping for hair in Second Life and we just can’t get enough hair – ever. Although there are plenty of hair stores in Second Life, there is only a hand full that are the crème de la crème. One of them is DOUX. DOUX offers a wide range of hairstyles that are simple, popular, and beautiful. Some of DOUX’s creations are inspired in current pop culture personalities – like this new release featured below, “Ariana”, inspired by Ariana Grande’s famous ponytail. DOUX’s consistency in releasing new merchandise is something that I also appreciate in this brand. I only had great things to say about DOUX until I visited the store last week to purchase a particular hairstyle. The most recent hairstyles can only be purchased from a system that basically forces the customer to buy a fatpack color hud, and if you want all the styling options with the bells and whistles, you must further invest on the “Deluxe Pack”. I had to drop a whopping total of L$450 to get the product I wanted with a bunch of hair shades I will never wear. Needless to say, I left the store with mixed emotions, wondering if this was a way to entice customers in spending more money. Interestingly enough I wasn't the only one as this concern has also been addressed by other customers in their official Flickr page. Long story short, the "Basic Pack" includes 3 fitted mesh head sizes, two breast sizes and texture hud with 70 hair colors, and the "Deluxe Pack" includes a color change hud, a hair bow with 10 color options and a style hud with 4 hair style options. Was it worth the L$450 I’ve spent? No, not really. Does this make DOUX a bad store? Of course it doesn’t. 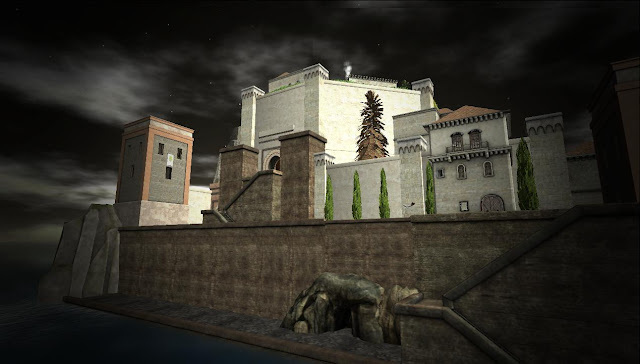 It is very rare for me to express a negative opinion in this blog and the last thing I want to condemn a creator in Second Life for something like this. Ultimately, it’s their store and they sell their products the way they see most fit but that won't keep me from expressing my personal opinion as a customer. Hear me out DOUX: I just wanted to buy your blondes color pack with all the hair styles and not the entire color range that I will never wear. Truth be told, if you are a fatpack lover, this is one heck of a deal but If you loyal to a particular color pack, like me, you will end up spending more of your precious L$. Common sense and logic tells me that if you are paying for something you don't need it's a waste of your money, further spoiling the shopping experience and my overall opinion of the store. Regardless of my personal opinion on this topic, DOUX is one of the best quality hair stores in Second Life which I continue to follow and appreciate. I only hope that DOUX discontinues this Basic and Deluxe Pack system. What type of social media you would like to see The Good Gorean be part of? What's Going On in Gor?